Especially suited for compact cars, the ContiWinterContact TS 800 tyre makes for a safe drive whatever the winter weather conditions. Driving. Cornering stability and traction, handling on dry surfaces thanks to solid tread blocks and the soft rubber compound that increases the tyre's contact patch with the road. Snow. Performance on snow and ice ensured by the honeycomb structure – providing remarkable transversal tread rigidity. 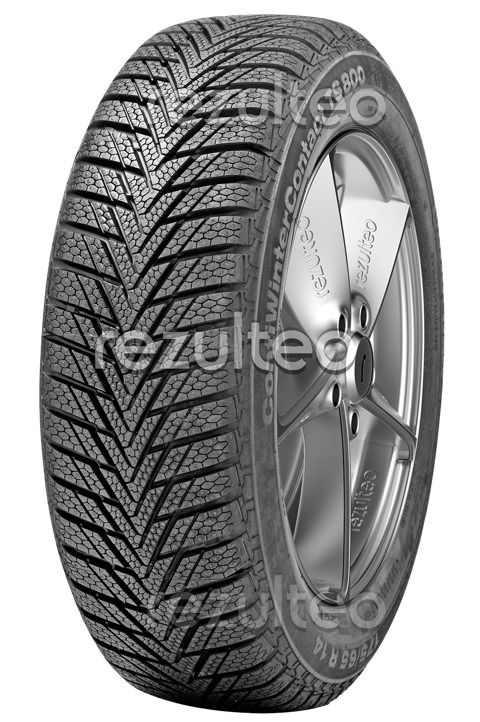 Winter tyre for compact cars. Effective on snow and ice.